Running shoes for all sports? Think again. 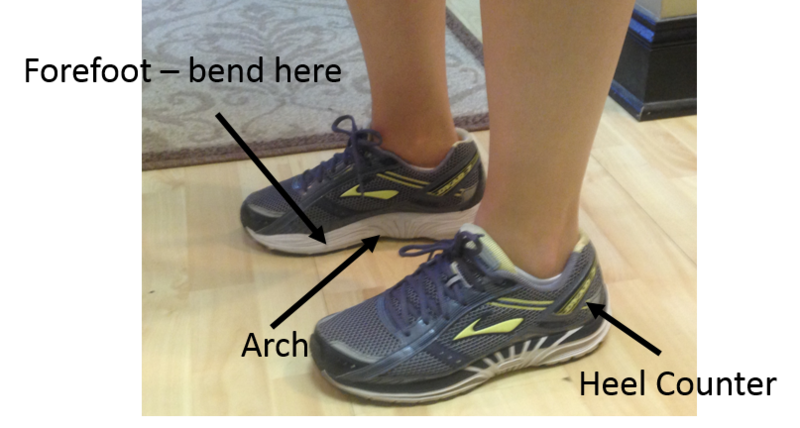 Since running shoes are so comfortable to run in (and walk in too! ), is it a good idea to wear them for all sports? The answer is no, especially for sports where lateral (side-to-side) movement is the primary movement, such as court sports like tennis, basketball, or volleyball. The reason is that that characteristics that make running shoes perfect for running may not give the shoe enough support for other activities. Running shoes have are built for high impact the body causes on the feet during running ( up to 2.5 times your body weight per step). They have a padded forefoot (ball of the foot area) and also the heel may have a few millimeters of padding above the ground for the high heel impact. At the same time, running shoes have no stability in the sides of the shoe, needed for quick side to side movement on the tennis court or basketball court. So although running shoes are definitely the best choice for running, seek expert advice for shoes specific to certain sports. If you have an injury or have any questions regarding foot or ankle care, make an appointment with one of our doctors at Prairie Path Foot and Ankle Clinic. Your feet with thank you!